Caption slip reads: "Photographer: Monteverde. Date: 1951-10-07. Reporter: Ferre. 43: Charles P. Skouras. 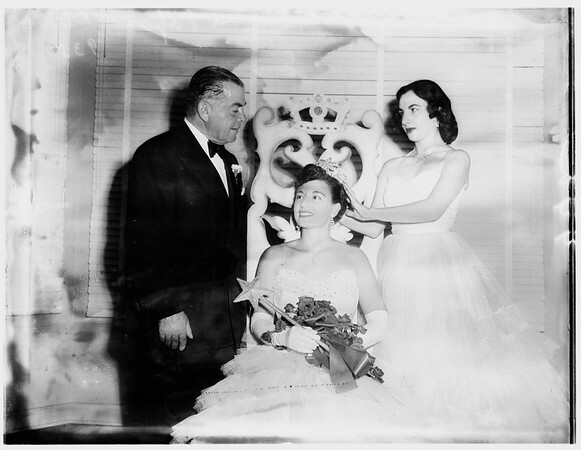 44: Helen Papas, queen of the Hellenic Othodox Youth. Katherin Pappas, last year's queen".